The Ambassador of Scarsdale has partnered with Fox Rehabilitation to provide a unique, proactive approach to residents’ functional wellness. 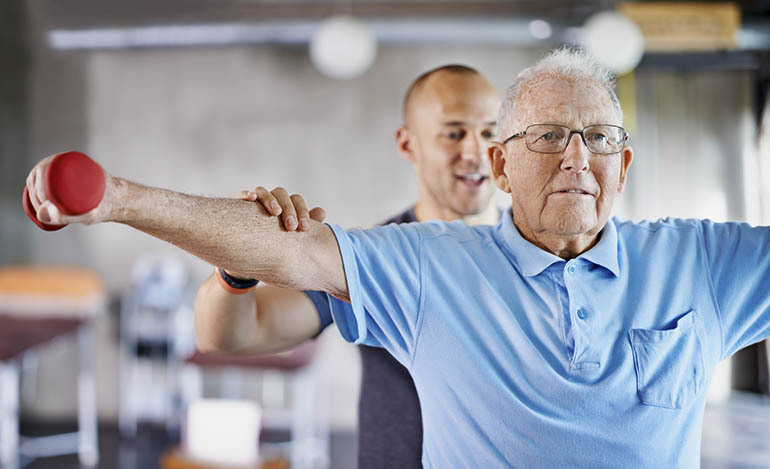 Fox Optimal Living is an innovative approach to medical fitness as the program focuses on maximizing each resident’s quality of life, while reducing healthcare spending. Fox Optimal will include daily, progressive, customized exercise classes as well as scheduled 1 to 1 sessions with our Exercise Physiologist for a customized approach to workouts.